Cozy Chicks: Mascara Wars: Truth in Advertising? Mascara Wars: Truth in Advertising? Well, I’m disappointed. Always looking for a “new and improved” formula, I just tried Maybelline’s brand new line of mascara called Mega Plush. From the packaging, I expected to see a plush mint green brush on the wand. From the commercial hype, I expected full, fluffy lashes. First of all, there was no mint green brush, and frankly, the formula looked no different on my eyelashes than their traditional Great Lash, which I think is a solid product. I had been all pumped to try the new MAC line called False Lashes, but Amazon (or one of its dealers) was out of it. Seriously? Amazon? I felt so let down! And then I stepped back for a reality check. It’s just mascara! And costly mascara, at that. How much different will it actually make my lashes look? And who is going to care? When was the last time you really noticed someone’s eyelashes being different from one day to the next? (Hey, are you wearing a NEW mascara?) I’ll bet it doesn’t happen often. In my opinion, the trickiest makeup to buy is lipstick. I can’t tell you how many tubes I’ve tossed out because the color looked fine at the store (in their awful florescent lighting – go figure!) and looked like something the bride of Frankenstein would wear once I got it home. Or it was so dry, it made my lips look like the floor of the Sahara desert. Or the gloss was so gooey my lips stuck together, making a kind of mmupp noise when I pulled them apart. I know. Check reviews. Have you had similar luck with advertising hype? Ever find the perfect mascara? We makeup junkies are dying to know. Lol, I never used to wear make up often, but a few years ago, I wanted to change that. Found out I am allergic to make up, so never bothered with it again. But I can understand your frustration. Can't you send it back, telling it is false advertising or something? Oh my gosh you have so hit this! I've been mascara-shopping forever. I've decided I need waterproof because - apparently - I have quite oily eyelids and the mascara simply disappears by the end of the day. It's so hard. Oh the promises they make! Ha! I've been let down so often, I can't tell you. I'm trying out another new one right now. It's a L'Oreal waterproof. Can't remember the name but it has primer on one side, mascara on the other. So far, not bad. The jury is out. This is a great post. I can't wait to hear what everyone else has to say. Any great waterproof mascaras out there? Benefit "They're Real" and Tarte's "Lights, Camera, Lashes" are both pretty good. However, I was told it's not necessarily the mascara itself that you should be looking at, but instead the brush. So if you ever find a good brush you like, I'd say save it and use it with any mascara you may like. I personally like a soft, fluffy brush, but that's because of the type of lashes I have; we're all different! I've also been told that there is little difference between department store mascaras and drugstore mascaras, again, aside from the brush at times. I find drugstore makeup/foundation a bit too orangy for my pretty neutral skin tone so I typically for Laura Mercier or Lancome, same with blush. But I'm no makeup snob; if Wet 'n Wild works for something, I use it! It's expensive being a girl! I don't like the brush on the Mega-Lash mascara because it's too fat and fluffy to get close to my lash line. I should have stuck with a wand that has a very thin brush. Live and learn (and be out money). Julie, Maybelline Great Lash has a waterproof formula that isn't bad. I am so with you! Just recently when I needed new mascara I purchased Maybelline Illegal Length after seeing it was a "reader favorite" in one of my magazines. Was that a typo? It goes on wet and goopy and clumps terribly! The one I tried before that was L'Oreal Double Extend, which was perfectly fine. I just thought I'd try this other one based on the whole "reader favorite" claim. Mistake. I still have the L'oreal Double Extend so I will try as Lizzie suggests and use the brush from it to see if that helps at all. TOTALLY forgot about Bare Minerals...another awesome mascara!!!! 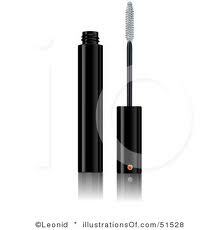 My favorite make up is mascara as I am fair skin with green eyes so mascara is essential as it makes my eyes stand out. I went cruelty free and chemical free two years ago with all my products. I found through research that Benifit's "They're Real! is the best by far I have ever used. No clumping,it stays all day and looks fresh. I have zero issues with it and I am picky and have tried them all. It makes your eyes look amazing and is voted best mascara in the US right now. One issue with it, no matter what you use, its terribly hard to get off so you have to take time removing it. I use cream to take it off, cleansers do not do the job. Its to fabulous !! I used Almay's mascara for years. Although I've tempted to change, I haven't just because this one works. There may be a better one but why risk it. I have just about given up on lipsticks since L'Oreal canned my favorite color years ago. Good luck on the search! Yeah the perfect mascara! I think I've tried them all. I have found one I truly love - Lancome Definicils. The only negative is that it's pricey, but I've gone back to it for the last couple of years and am completely satisfied. A friend recently turned me on to a mascara primer. It is fantastic -- you can use it with any mascara and immediately get extra volume. It's by Clinique and is white. It is called Lash Building Primer. I was told not to let it dry, so I do primer and mascara on one eye before doing the other. The primer is $15 but I am still on my first tube and it's been about 6 months. For mascara itself, I love CoverGirl Washable Waterproof. It stays in place but comes off with basic facial wash. Purple tube.